I am an Accountant major at CUNY Baruch College, NYC. Applying for studying abroad in Korea was easier than I expected, but the process itself was a tedious and lengthy one. First, I had to visit my home campus' study abroad office (for Baruch students, it is located in the building next to the library on the 8th floor). 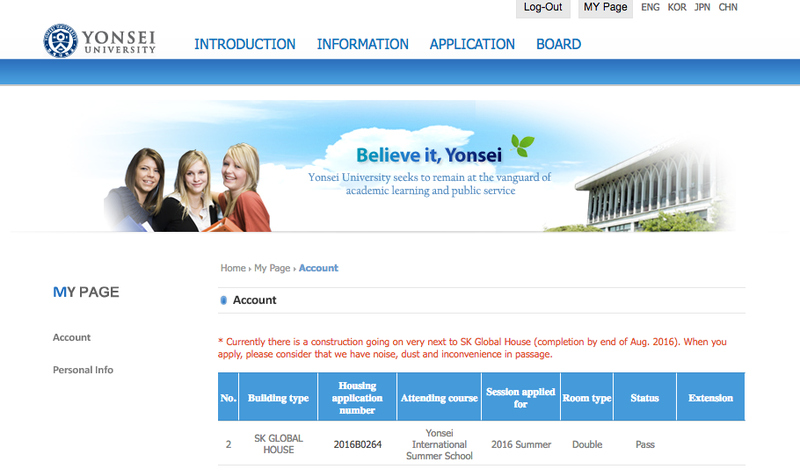 The hours located on their site are a bit outdated since administration fails to constantly update it. However, once you walk into the office, there is a sign that displays the actual hours (it is open during winter and summer breaks as well). My first meeting went by easier than I expected--it was simply you asking any questions about concerns that you have. 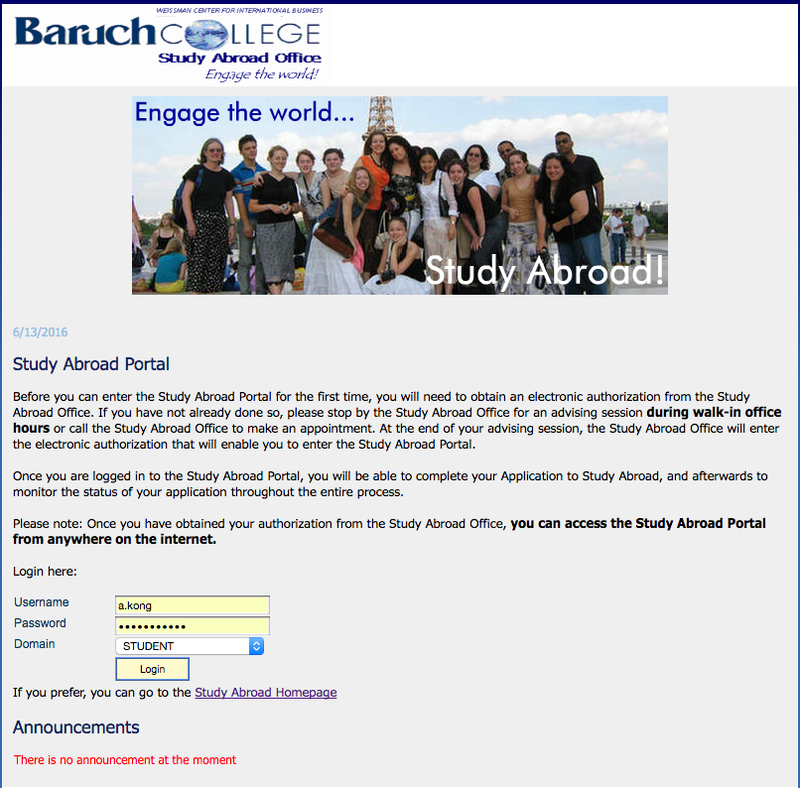 At the end, they give you access to the Baruch study abroad portal, and walked me through how to get in and where to fill out the form, find your desired designations, etc. After getting access, most of the forms were self explanatory. 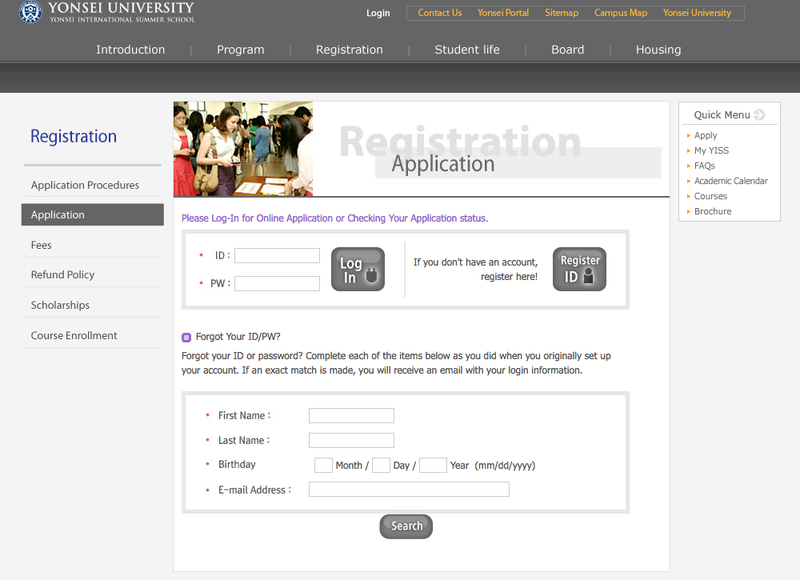 When you first login, you are required to fill out a student profile, consisting of basic demographics (and your passport number), information about your student status (honors, graduating year, etc), your contact information along with 2 other emergency contacts, languages, and travel experience. Do keep in mind that you will be needing a faculty recommendation, so figure out which professor you would like the ask ahead of time. approvals, you simply have to go on your study abroad program's site and look for the syllabi for your desired courses, and then upload it to the portal, along with information about the course (course code, title, professor, etc). Also, add more courses than you plan on taking, in case you are unable to get your top 2 choices. Once you are done completing every section, you may submit the form and await a response. For exchange students planning to study abroad at a traditional country (ie. 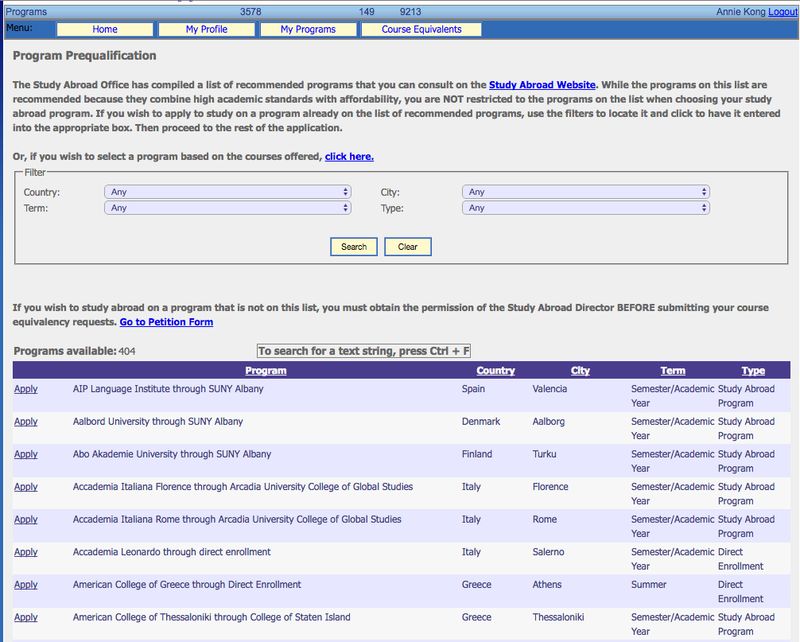 Europe), you can apply for multiple programs if you are worried about not getting into your first choice. 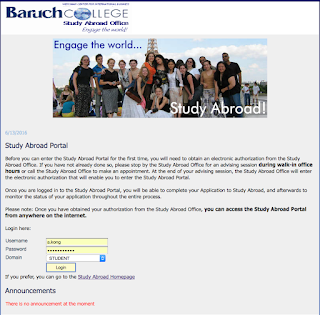 For direct enrollment, complete the same first steps through Baruch study abroad portal. Now this is where it differs. You have to enroll directly to the program yourself. 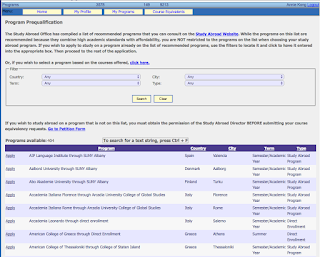 The Baruch portal was for your campus records and for their administrative process. The next step was scholarships: APPLY TO AS MANY AS YOU CAN!! DO THEM ASAP (I recommend starting as soon as you make the decision to study abroad!) 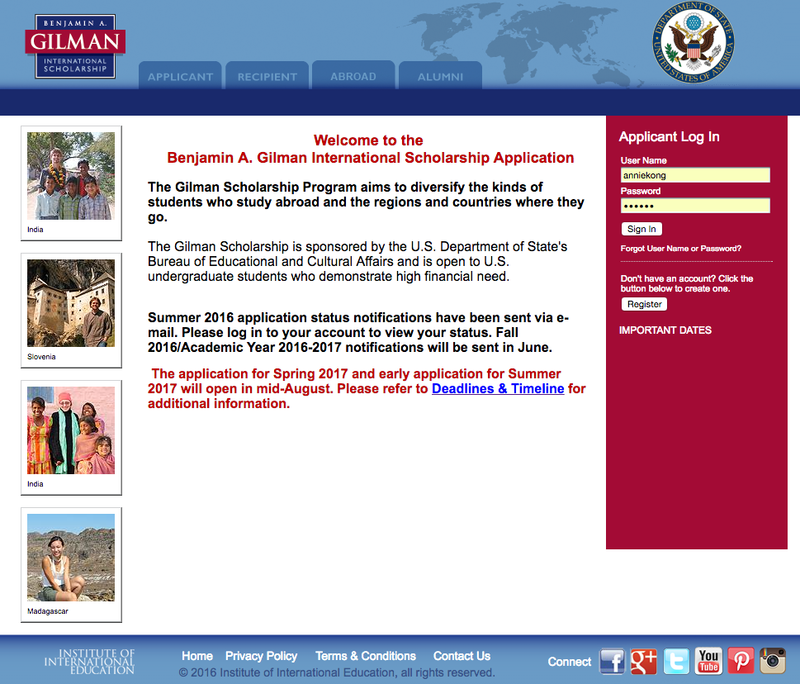 I personally applied for only 2 scholarships, the Gilman Scholarship and the Free-man Asia Scholarship. 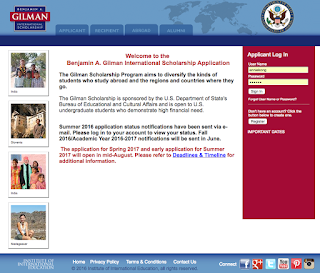 These scholarships are highly competitive, so it is recommended to complete your application ahead of time and have it reviewed by your study abroad advisors who can give you suggestions for edits. Both of the scholarships I applied for require a follow-on service proposal where you have to come up with a planned project after you return from your study abroad experience. These essays require creativeness, thus you should start planning early. Once everything is set, all that's left is the book the flight, possibly look into hotels/airbnb/guesthouses if you wish to stay longer, and start planning out what you want to explore! (Tip: book your flight and fly on a Tuesday or Wednesday when the prices are at the lowest. It is recommended to book your flight 2-3 months in advance.) Also sign up for milage programs with your airline carrier to collect miles for future benefits!